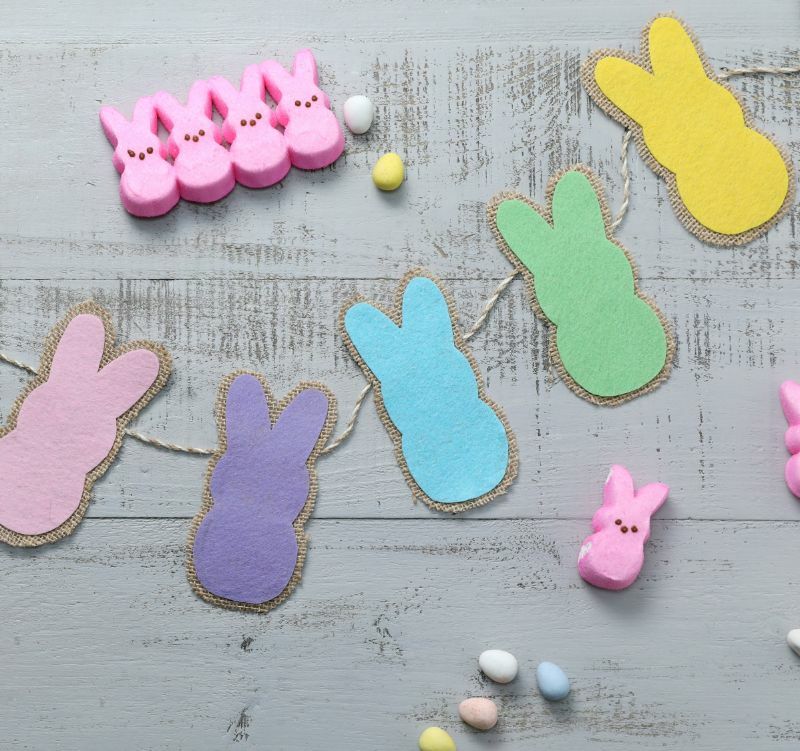 Bring some Easter whimsy to living room or bedroom walls with a garland of felt Peeps. Since Peeps come in bright colors, there's no reason not to indulge and create the most colorful garland you can imagine. Hang a short one over a doorway or across an outside door, and longer ones beneath ceiling molding. This tutorial uses burlap as a sturdy backing, but you could use a slightly larger piece of felt of a contrasting color. 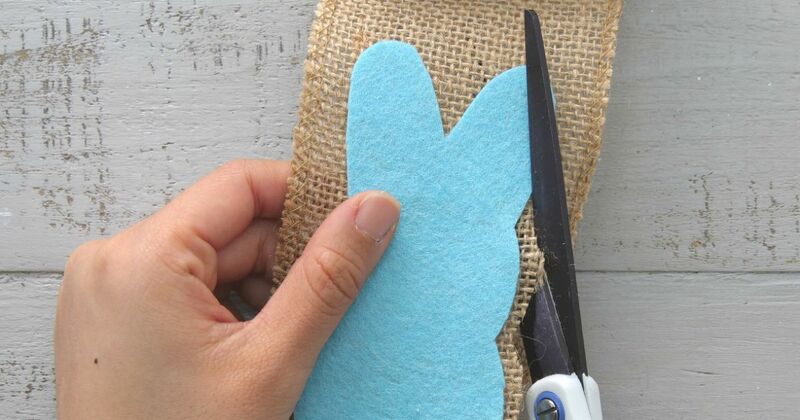 If you want to hang the garland vertically on a door, just run a line of glue down the burlap back instead of across. 1. Outline the shape of a Peep on the piece of paper and cut it out. 2. Place the cutout on a piece of felt and trace around it. Cut out the felt shape. 3. Run a line of glue along the inner edges of the felt cutout. Unroll some burlap. Press the cutout onto the burlap. Trim around the shape, leaving a marginal border of burlap. 4. Turn over the glued cutout. Run a line of glue across the burlap under the ears. 5. Press the twine into the glue, leaving 6 inches of twine at the end for hanging. 6. Repeat steps 2 through 4 for as many pieces and colors as desired. Adhere the shapes to the twine 4 inches from one another until you reach the desired garland length. Cut the twine, allowing 6 inches of twine for hanging. 7. Hang the garland where desired. Share this adorable Easter decoration on Facebook.